We are all under continual attack in our cyber environments. The bad guys are looking for every weakness they can find and exploit. For this reason a critical step you need to take is to identify your cyber exposures, understanding that they are not all technical. The first step in securing your cyber environment is to know where its weakness are, then you can take the appropriate action to address them. If you do not know them all then you leave yourself, and your organization exposed. This course provides you with a framework, and questions you need to get answered, to do just that. Identify your cyber exposures. This course is one of three courses. The first course - Understanding Cyber Exposure provided an overview of cyber exposure and how to address it. This course examines in depth how to identify your cyber exposures, and the third course, Managing Cyber Exposures- Program Management , provides a guidance on how to manage the cyber exposures you have identified. The course is broken into 11 modules each less than 10 minutes in duration to allow it to fit into busy schedules. I want you use this course as a resource for continued learning. 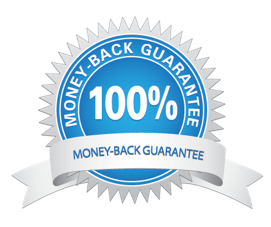 If you take the course and are not satisfied with what you learned, you can get a full refund.